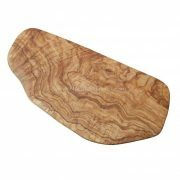 Stunning olive wood cutting boards, which are available in many different sizes. 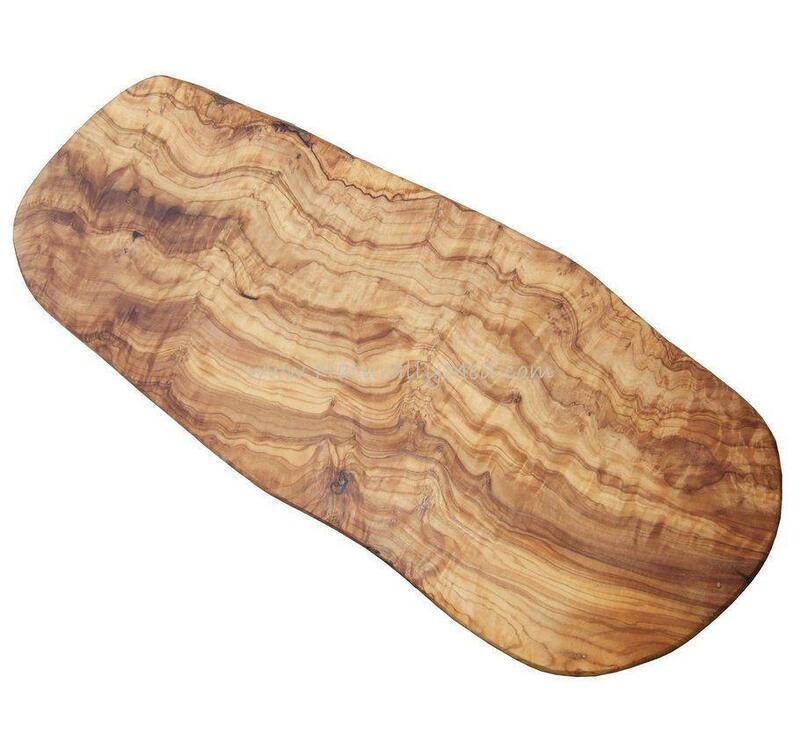 The natural shape of this board means each one is unique. 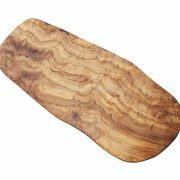 These olive wood boards can be used as cutting boards, cheese boards or serving boards. 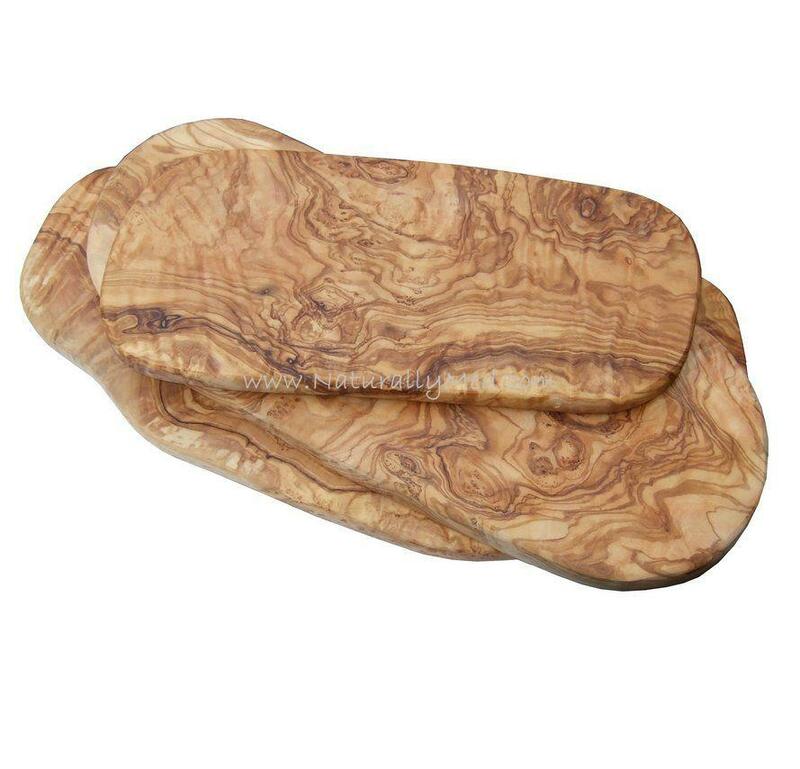 Hand-crafted from olive wood from the Mediterranean therefore the size and shape of each board will vary slightly. Some of these boards will have a natural edge therefore adding to the beauty and charm of this spectacular olive wood board. 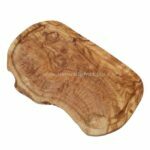 The large olive wood boards are very rare, and will last a lifetime if properly cared for. 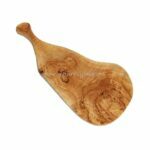 All of Naturally Med’s olive wood range comes with care instructions and make great gifts. 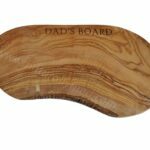 Naturally Med’s olive wood cutting boards are also available personalized. We can engrave dates, names or sayings on this item. Visit our engraved / personalized products section to find out more. 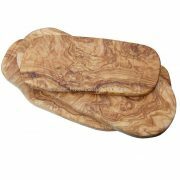 Naturally Med’s olive wood cutting boards are handmade from a single piece of olive wood. Handmade by skilled artisans in Tunisia our olive wood cutting boards are each one of a kind.